For over 150 years, John Deere® has been producing high quality American made equipment and machinery for farms and industries. Headquartered in Moline, Illinois, John Deere® is centered in one of the most extensive farmland areas of American. John Deere® is known for manufacturing and designing some of the most dependable and high-quality machines on the market. John Deere’s® traditionally green machines are a familiar sight to farmlands everywhere. 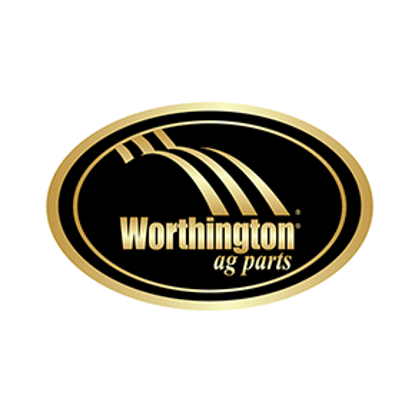 Worthington Ag Parts has been a trusted source of aftermarket new, used, and rebuilt John Deere® parts for over 50 years. Our company has earned that trust by providing our customers with high quality parts at the right price. Our team of parts experts are determined to provide you with only the best parts and services. Find the part you need by typing the part or model number into our search bar. If you are having trouble, contact our knowledgeable staff. They can assist you and make recommendations to help you get the components you need to keep your John Deere® running. Contact us today at 888-845-8456 and put the Worthington Ag Parts team to work for you.